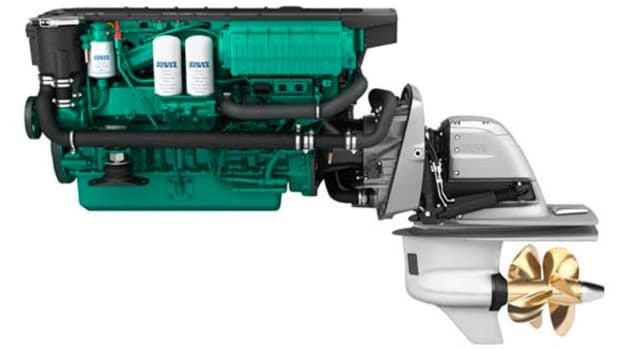 Volvo Penta intro’d a brand new engine at last year’s Ft. Lauderdale International Boat Show: the D8, in both 550- and 600-horsepower versions. 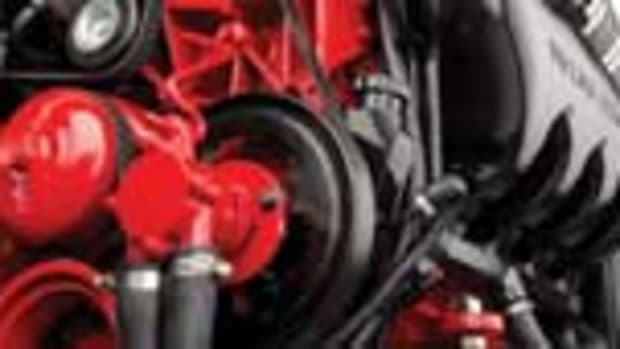 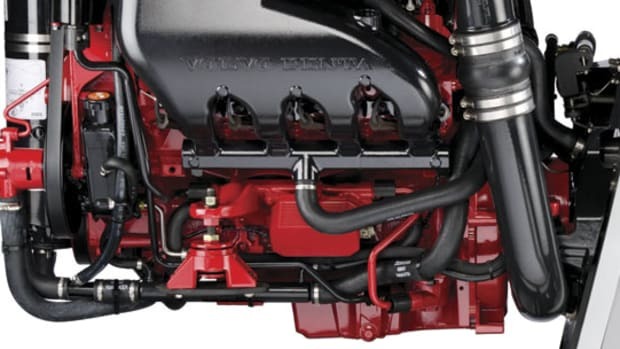 An in-line six, four-stroke, turbocharged and aftercooled common-rail diesel, the D8 is compatible with both IPS and straight-shaft applications. 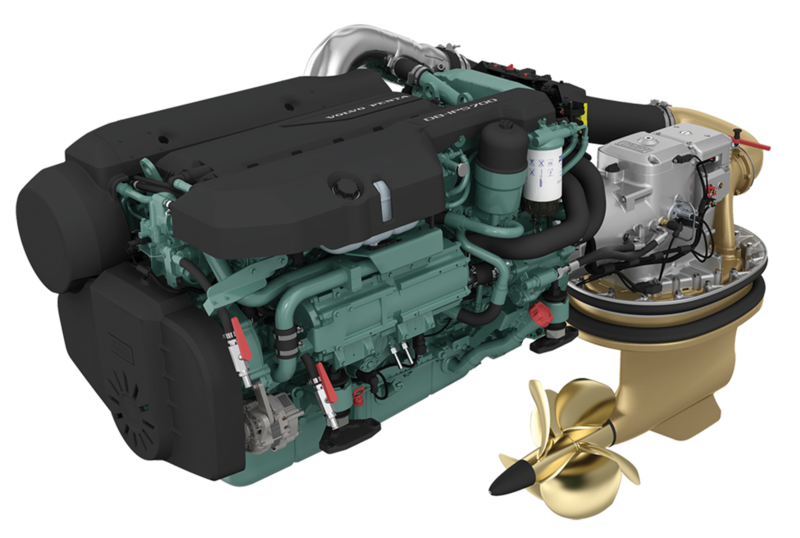 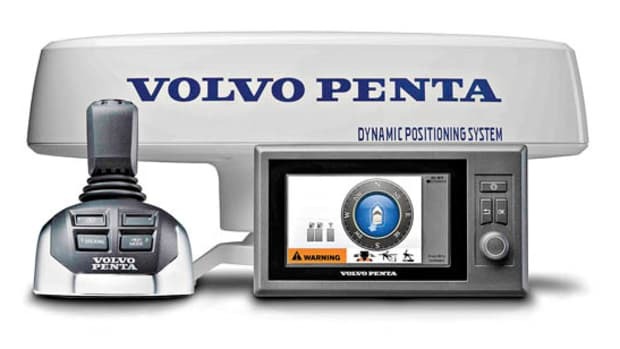 And as with many other products in the modern Volvo Penta line up, it has a cast-iron cylinder block, cast-iron cylinder head, gear-driven fuel pump and injection timing, and an electronically controlled engine management system. 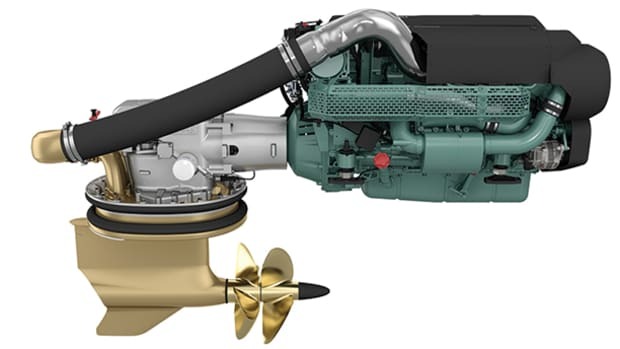 A four-valve-per-cylinder layout with overhead camshaft, gallery oil-cooled cast-aluminum pistons, and other features make the D8 robust, reliable, and quiet, says Volvo Penta. 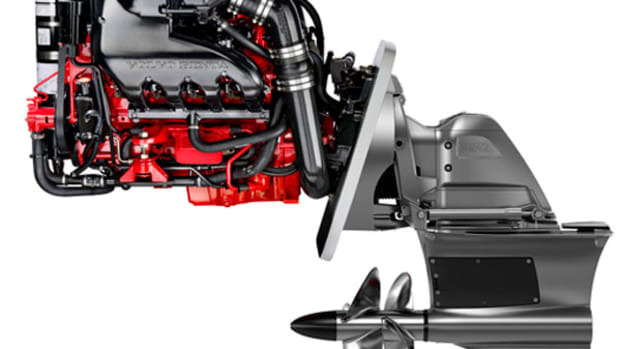 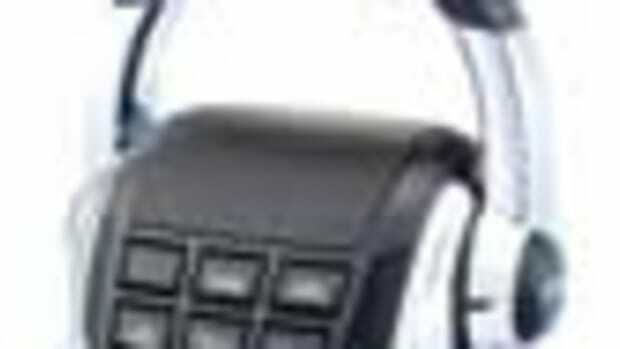 When coupled with IPS, it is likely destined for vessels in the 45-to 55-foot range.